Starza Thompson over at Windy City Reviews gave Bend Me, Shape Me a long and marvelous review today. Below are some of my favorite excerpts, but I really hope you will click through to read everything she had to say. 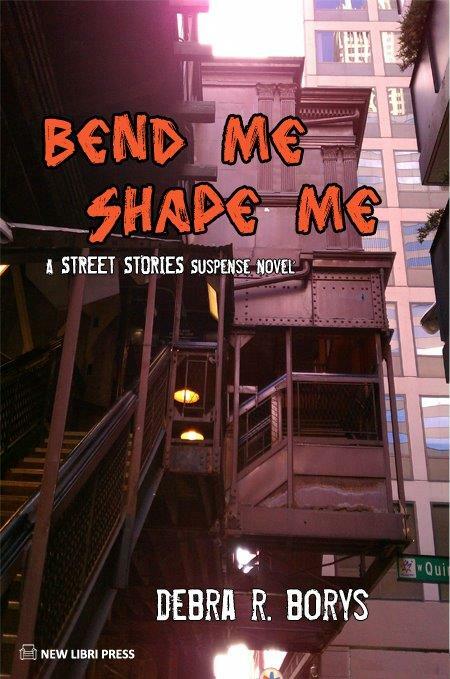 Bend Me Shape Me takes a deep and fascinating look into the world of teen homelessness in Chicago. Through the eyes of Snow Ramirez, Jo Sullivan, and Leonard Goldenhawk, author Debra Borys shepherds the audience on a terrifying journey of homelessness, mental illness, family problems, and murder. This novel was chock full of nail-biting scenes and page-turning tension, making it very hard to put down. Throughout the book, Borys does an excellent job of painting a realistic picture of homeless youth and the struggle they have with mental illness, family, trust, and more. From the very first page of this novel, the audience is pulled into Snow’s story and her struggle to keep her brother and herself safe. For me, this book was both entertaining and eye-opening. The plot twists and multiple narrators kept me flipping the page to find out what happened next, while the reality of Snow’s situation made me want to learn more about how I could make a difference in the lives of homeless youth. As someone who loves psychological thrillers and who is a Big Sister in Big Brothers Big Sisters, this book combined my interests in ways I didn’t think possible. I immediately wanted to know more about Snow and her brother and could have easily read a book twice as long on this topic. Bend Me Shape Me is a chilling and tension-drenched thriller that will enable you to take a long hard look at the plight of the homeless. I highly recommend this book to anyone who likes thrillers that make you think—once you pick up this book, you will struggle to put it down! via Windy City Reviews – Book Reviews.